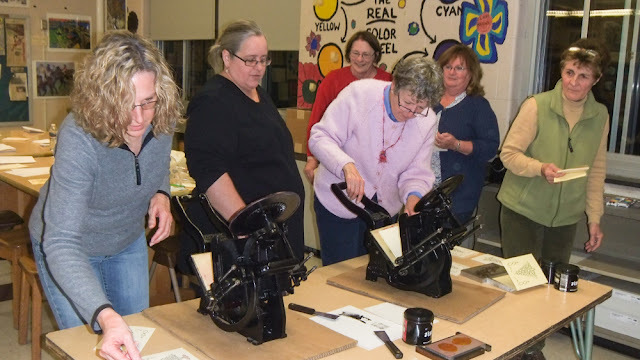 The Press of Robert LoMascolo: Letterpress Workshop. . . .
Letterpress Workshop. . . . Participants enjoying themselves at my holiday card printing workshop.